Innovation, stability, trust and performance are what you get when you partner with ServiceMaster Green of Des Moines to clean and maintain your commercial property. I started in metropolitan Des Moines under the name ServiceMaster Building Maintenance. Desiring to align our company with a brand recognized for quality, we first hung out a shingle in 1980. At the end of our first year we were cleaning approximately 100,000 square feet of commercial property with a team of three employees. We are now one of North America’s largest and finest ServiceMaster franchises. To accomplish this feat in the mid-sized market of Des Moines demonstrates the value we place on providing the best cleaning and maintenance service to all our customers. Today, we are the second largest ServiceMaster franchise in North America. 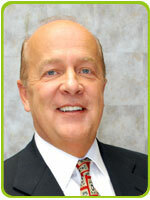 ServiceMaster Green of Des Moines has the largest market share of any contract cleaner in Des Moines. We have approximately 375 full-time employees cleaning more than 10 million square feet of commercial space on a daily basis. That represents about 30 percent of all the commercially cleaned property in metropolitan Des Moines. Our client list includes major Des Moines —area companies with massive facilities like The Principal Financial Group, Pioneer Hi-Bred International and Wells Fargo. However, we provide the same great cleaning and maintenance service to companies with much smaller operations as well. Whether a company is large or small, I consider it an honor and a privilege whenever someone allows us to serve them. We decided in 2007 that we could better serve our existing and future clients — and be better stewards of the environment — by making a commitment to green cleaning. So we embraced new cleaning technologies and products and we rebranded ourselves, changing our name from ServiceMaster Building Maintenance to ServiceMaster Green of Des Moines. By going green with your building cleaning and maintenance, not only are you helping the environment, you can save some green, too. Studies show green cleaning promotes a healthier work force and results in an improved bottom line. To learn more, click here to Go Green and Save Some Green. In the summer of 2008, we became one of the then nine cleaning services throughout the U.S. to achieve Green Seal GS-42 certification. Find out more about our Green Seal designation by going to the Green Seal website. Although I’m proud of what our company has accomplished in nearly three decades of serving the Des Moines area, I’m most proud of our team of professionals who are the reason for our success. The relationships we establish and maintain while serving customers is one of the things that sets us apart from our competition. Click this link to learn more about The Green Team. Des Moines is home to more than one ServiceMaster company, which causes confusion. So, in 2008 we changed our name to ServiceMaster Green of Des Moines, reflecting our commitment to green cleaning and environmental stewardship. It’s a name you can trust. Among the several ServiceMaster franchises and other contract cleaning services in central Iowa, only one has received exclusive Green Seal GS-42 certification; only one has two LEED Accredited Professionals, the only two on staff at any local building maintenance company; only one has provided the highest-quality building cleaning and maintenance services since 1980; and only one is a green cleaning pioneer. That one is ServiceMaster Green of Des Moines, your partner in clean. Contact us today to put our experience to work for you.